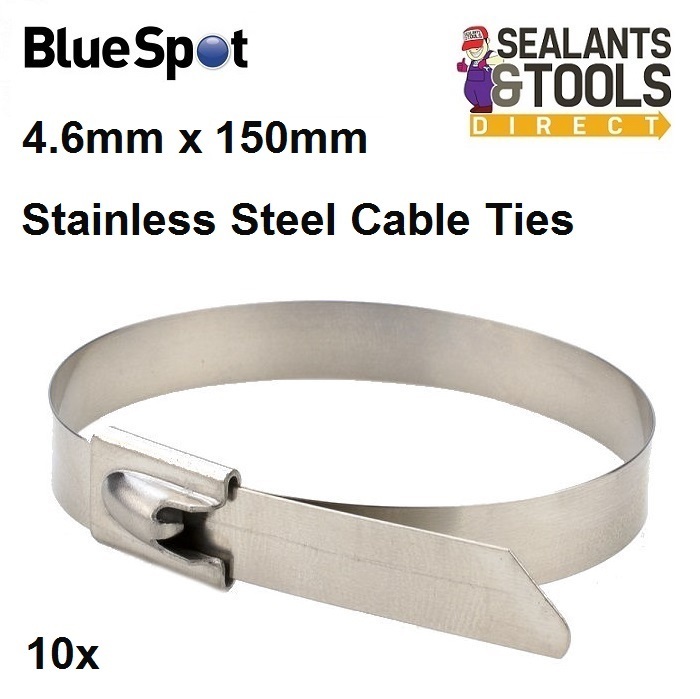 Blue Spot Tools 150mm Stainless Steel Cable Ties, these are manufactured from high strength stainless steel for increased durability. Stainless Steel cable ties are designed for use in the garage, workshop and outdoors. Comes in a resealable bag for quick and convenient storage and use. Each pack contains 10 stainless steel cable ties.